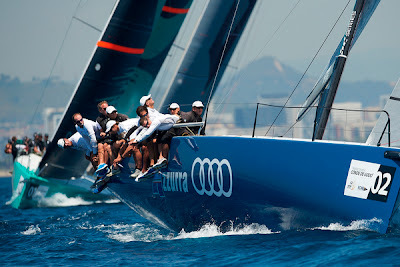 Audi Azzurra Sailing Team clocked up two wins and a second in today’s three starts to open their 2012 campaign to win the new 52 Super Series off Barcelona at the 39th Trofeo de Vela Conde de Godo regatta. Niklas Zennström’s Rán won the third race and lie second overall. Alberto Roemmers crew, which sails under the burgee of Sardinia’s Yacht Club Costa Smeralda, have a gnarly weapon in the form of their new Botin Partners design. 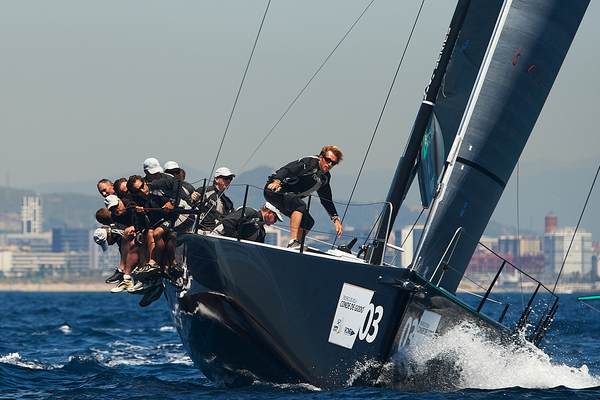 Good starts, accurate tactics and solid boat handling all contributed to their winning bullets today. 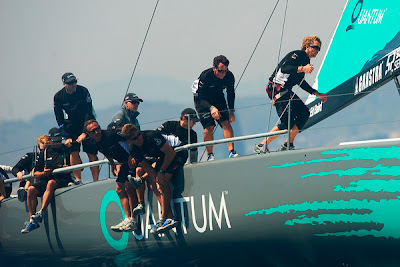 With five changes in their sailing team line up since winning the World Championships and the 2011 Audi MedCup Circuit last year, Quantum Racing looked a little off their game. 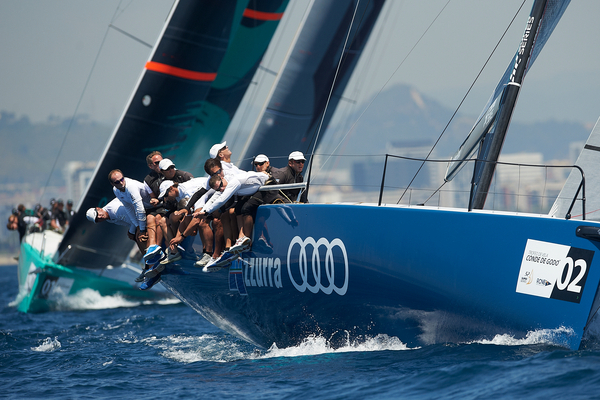 Audi Azzurra lead around every mark of Race 1, but each of the windward legs were extremely tight. Tony Langley and crew on Gladiator kept the pressure on Niklas Zennström’s Rán at the first windward mark, while Quantum Racing rounded in fourth. 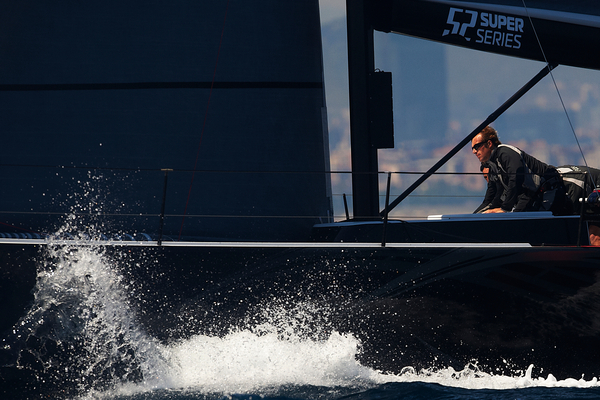 Though the Garbi sea breeze was a little patchy at times, especially on the first downwind leg, the Azzurra team managed to hold off Rán to claim their first win of the day. Gladiator crossed third but were penalised at the line for passing too close to Quantum Racing on their final tight cross before the line. 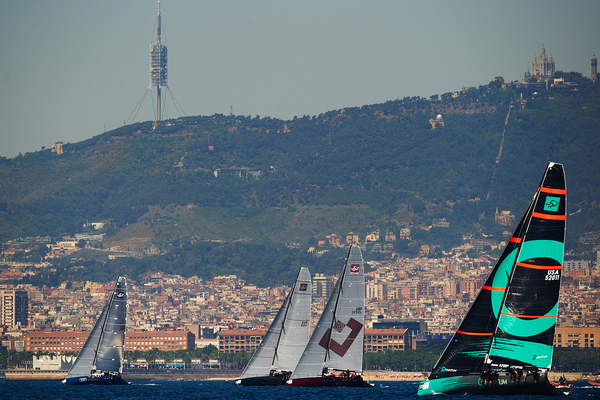 The breeze increased slightly and was a little more evenly spread across the race area for the second windward-leeward contest. 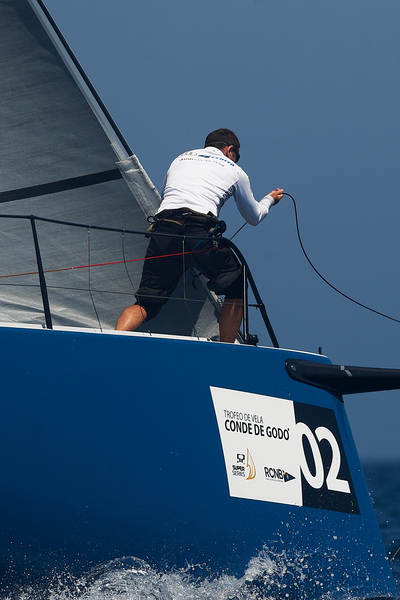 With their three rivals tussling for the right, committee boat end of the start line, Azzurra executed a nice time on distance start at the opposite, pin end of the start line. 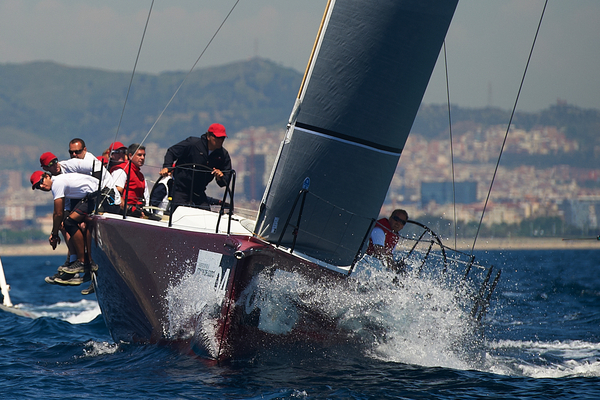 Again they lead at the top mark and went on to a second winning gun. 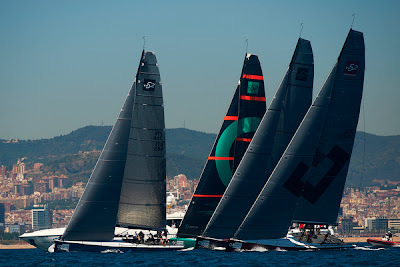 In the third race pre-start Quantum Racing and Audi Azzzurra Sailing Team engaged in a brief interlude of ‘handbags’ - match-race style circling - before Azzurra again broke to the very opposite end of the start line. This time they were the lone wolves on the inshore, right side upwind while the other trio initially hunted slightly more left, offshore. 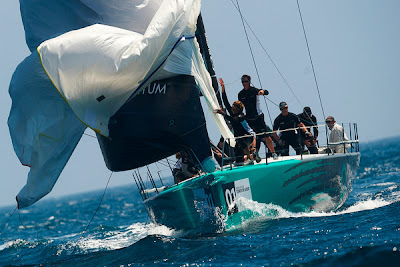 They lead again, narrowly at the top mark but after a prominent shift to the right Rán gybe set first and by the second time of crossing, lead for the first time. Downwind in the fresher, colder 14-17kts breeze, Rán looked to have the speed advantage. 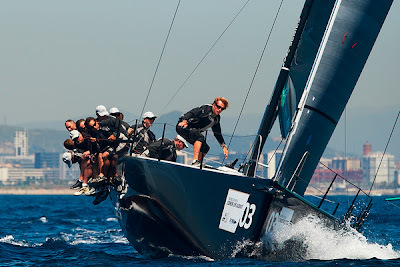 Zennström and crew, with Adrian Stead calling tactics are in second overall, one point behind Azzurra on five points with Quantum Racing third on nine points and Gladiator on 12 points. 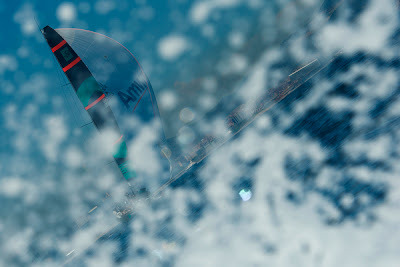 Audi Sailing Team powered by ALL4ONE are expected to rejoin the regatta on Friday after being forced to make repairs to the boat today. “It could hardly have gone better for a first day in the series – well maybe a little – but we were leading the final race and Rán proved to be pretty fast downwind in some conditions and we struggled to keep them back. They did a fantastic last race when we made a couple of mistakes. But we cannot complain about today. “We are obviously disappointed it did not go a little better. We had out moments that did not work out for us. The Azzurra guys sailed really well in the first two races and in the third race Rán did a great job. We made mistakes in a few different places. The first race I did not get off the start line very well. The second race we were close, but just a tiny bit behind the blue boat and they pushed us back and we got Rán in between us.